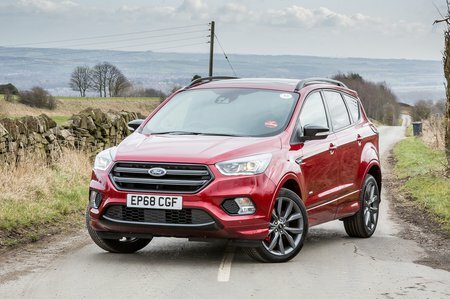 Ford Kuga 1.5 EcoBoost 120 2WD Review and Deals 2019 | What Car? This turbocharged petrol motor is the entry to the Kuga range and is available only with front-wheel drive and a six-speed manual gearbox. It's no ball of fire and struggles a bit will a full load of passengers and a full boot, but it delivers adequate performance most of the time and keeps the price low.